To Write in a Transparent World! 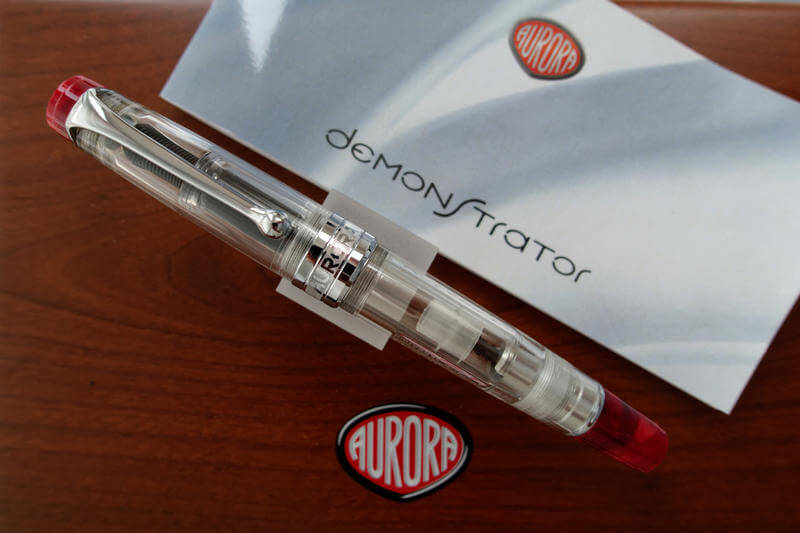 Crystalline spirit in a precious body, the Optima Demonstrator is characterized by a modern style in a transparent resin body arranged with your choice of two eclectic finishes: chrome-plated metal or red auroloide, the special resin produced exclusively by Aurora. The piston-fill fountain pen has Aurora’s hidden reservoir system ensuring an extra page of writing when it appears that your ink has run out. The distinctive 18kt gold nib is available in M, F, XF, and B. The fountain pen is available in an edition of 1936 pieces in each finish, corresponding to the year in which the Optima was first introduced. The rollerball and intricate sketch pencil are made in an edition of 936 pieces each.